I was in the mood for a quick card today, so I started looking at things I had already colored or die cut. My little panda balloon was just sitting there waiting to go on a card and my HAPPY sentiment was already cut from white card stock. I just colored it black with a marker. 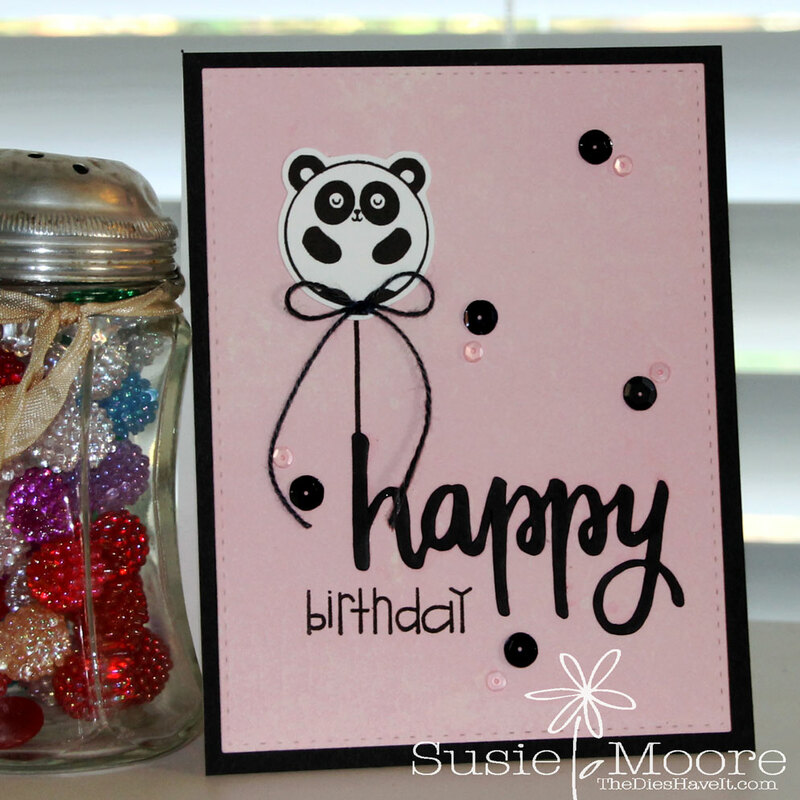 I added a stamped BIRTHDAY and added black twine and some sequins and called it done.